The following are recommended reading for anyone interested in learning more about water resource development, sanitation, hygiene, and other subjects related to community development and poverty alleviation. This list is by no means complete and will be updated regularly. We are always looking for excellent books and information that are educational and enlightening. If you have suggestions for books that you feel belong on recommended reading list like this, please feel free to email us by visiting "Contact Us". Explores the current state of our fight against world poverty in an effort to rethink our strategies and the nature of poverty itself. 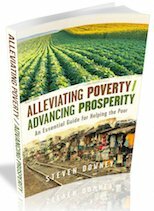 Principles in this book will increase the effectiveness and sustainability of anti-poverty programs from short-term missions to global long term efforts. A unique perspective on cross-cultural experiences. The author creates within us a greater appreciation for our extended families around the world and an increased desire to better understand them. Recommended reading for anyone working cross-culturally. A situation is assessed for whether relief, rehabilitation, or development is the best response to a situation. Efforts are characterized by an "assest based" approach rather than a "needs based" approach. Short term mission efforts are addressed and microenterprise development (MED) is explored. Recommended reading. Baker Academic; 3 edition, 2010. "If I had to choose only one book on missions, Let the Nations Be Glad! would be it. Don't read it unless you're willing to have your eyes reopened to the highest possible motive for being about the business of reaching the world for Christ." --Duane Litfin, president, Wheaton College. Recommended reading for the missions-oriented and reaching the poor in the hardest-to-reach places. The Johns Hopkins University Press, 2002. This book shows us the real potential of honest partnerships between communities, governments, and technical experts. Public Affairs; Rev. and Updated, 2003. Banker to the Poor is an inspiring memoir of the birth of microcredit, written in a conversational tone that makes it both moving and enjoyable to read. The Grameen Bank is now a $2.5 billion banking enterprise in Bangladesh, while the microcredit model has spread to over 50 countries worldwide, from the U.S. to Papua New Guinea, Norway to Nepal. Public Affairs; Reprint edition, 2009. This volume efficiently recounts the story of microcredit, then discusses Social Business, organizations designed to help people while turning profits. French food giant Danone's partnership to market yogurt in Bangladesh is described in detail, along with 25 other businesses that operate under the Grameen banner. Infused with entrepreneurial spirit and the excitement of a worthy challenge, this book is recommended reading and the opposite of pessimistic recitals of intractable poverty's horrors. Reveals that fifty failed states--home to the poorest one billion people on Earth--pose the central challenge of the developing world in the twenty-first century. Collier offers real hope for solving one of the great humanitarian crises facing the world today. Recommended reading concerning poverty alleviation. A concise examination of international development, its history, and current challenges. An authority in participatory development approaches, calls on all development professionals to adopt new methods of interacting and learning that empower the world's poor. Recommended reading concerning ownership and responsibility in community development. Sachs's latest work not only asserts that the elimination of extreme poverty is possible, but that it can be accomplished by 2025. In this recommended reading he delineates how this can be achieved and what people living in the West can do to contribute. Harper & Row; First edition, 1975. Schumacher pioneered the concept of low cost, appropriate, small-scale development ideas to help people to help themselves. Jeremy Searbrok looks at the broad effects of poverty worldwide and the inseparability of poverty and wealth. This groundbreaking work challenges popular understandings of development by explaining economic development not as an end, but rather a means to extending freedoms. Ian Smillie examines international development NGOs—their historical evolution, the challenges they face and the lessons they have learned. An introduction to appropriate technologies—a must-read for anyone interested in work overseas and the role of western engineers in development. Penguin (Non-Classics); First Edition, 2007. Author asserts that without feedback from the poor who need the aid, no one in charge really understands exactly what trouble spots need fixing. True victories against poverty are most often achieved through indigenous, ground-level planning. Douglas & Mcintyre Ltd, 2010. Author prescribes a tough dose of medicine: stopping the tide of money that, however well-intentioned, only promotes corruption in government and dependence in citizens. Discusses the vital importance of having an adequate supply of food and water and the effects of pursuing this need though various forms of storage and farming methods. W. W. Norton & Company; 2 edition , 1997. The author has written a stunning account which discloses the atrocious amount of neglect and mismanagement of water. Fortunately, there are solutions which offer hope for restoring and sustaining our essential lifeline, all of which are economically and environmentally friendly. Discusses increasing global population and a water supply that cannot increase; faced with this crisis, what can the average citizen do? Takes us on a journey 500 years past to present to recover a lost knowledge - how the land cleans its own water, how natural ecologically interacting systems can create healthy waterways. Through case studies, anecdotes, facts, and theoretical explanations, this recommended reading provides a look at the social and environmental implications of severe droughts, their causes, and some possible solutions. Return "Home" from "Recommended Reading"